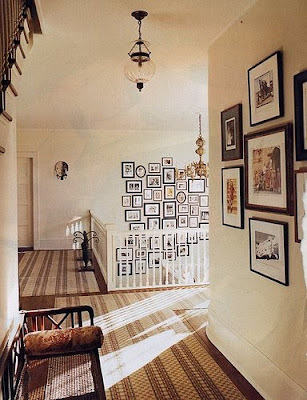 I really would like to create a gallery wall in my hall but the BF hates the idea. 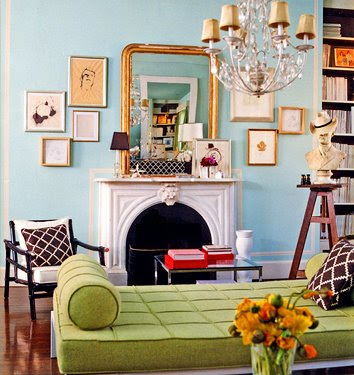 He says he hates clutter and think it would be ugly. Now normally I would just ignore him and do it anyways...but I'm really trying to include him in the decorating and I really want him to like the idea. So, I need to convince him that it can be done well and create some interest in a very blah wood floor, white walls hallway. 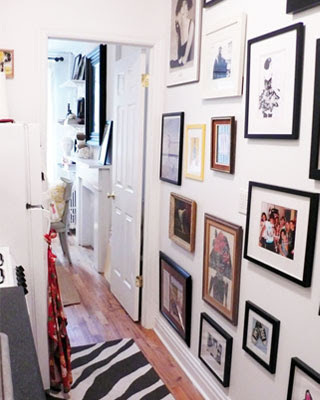 Also it would get rid of some of the clutter he hates by containing all the art we have into one area. 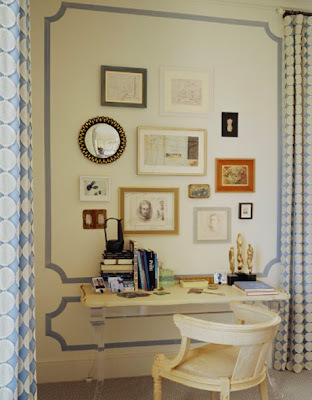 Take a look at these gallery style walls I found...I love them all!! Please someone tell me how I can get the BF on board with this idea?? 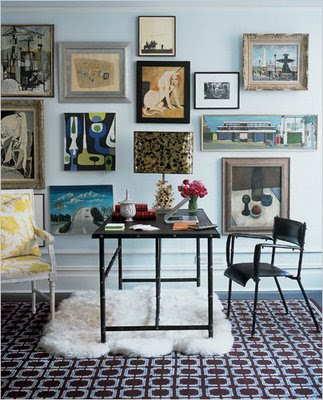 i LOVE gallery walls and plan on doing one in my apartment (to be) - i'm actually planning on doing a post on gallery walls soon too! 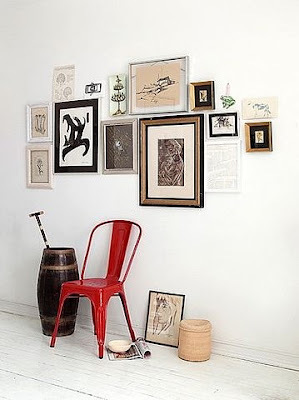 i love the kind of...controlled randomness of a gallery wall. perhaps show the BF some really nice example photos? some of these are pretty great. 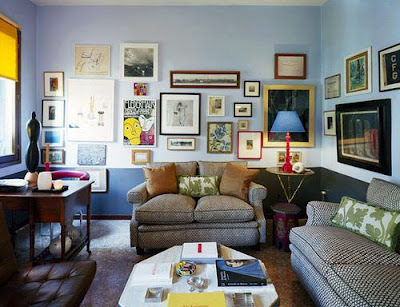 I have a couple of the same pictures on my blog post about gallery walls. 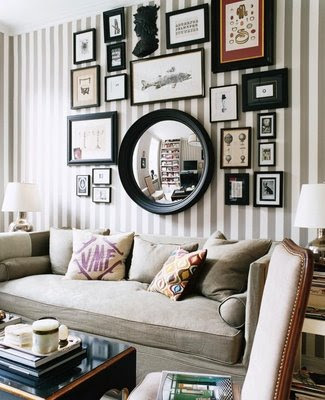 I want to do one in my living room.